Gear Research Institute, Taiyuan University of Technology, Taiyuan 030024, China. 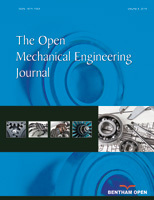 Proceed from reducing the noise of automotive gears, a new method of the fine-pitch tooth profile optimization is proposed. Under the premise of the constant gear parameter values of the transmission ratio, modulus, and pressure angle, the method considers the minimum noise objective value as the design object, and the constraint conditions are established such as the noninterference in meshing, the non-undercutting, and the non-pointed in the tip and so on. Then the coefficients of addendum and modification are optimized with the purpose of increasing the contact ratio value and full-depth tooth. And it is necessary for this paper to conduct a strength analysis on the design result. The analysis result shows that the new method can not only reduce the noise, also ensure the high quality of the automotive gear strength.